Grooming keeps pets clean and healthy, yet many pet owners don’t know where to begin when it comes to their own companion animals. Here are a few tips that you should find useful when it comes time to groom your pet. Most dogs and cats enjoy being brushed. Not only does it strengthen the bond between you and your pet, but it gives them a healthy and clean coat. Dogs with longer coats should be brushed daily to prevent matting and tangling of hair, while medium-haired dogs should be brushed weekly. Short-haired dogs don’t need to be brushed as often, but brushing every few weeks is always a good idea. Most cats don’t need to be brushed as often as dogs since they groom themselves, but long-haired cats can benefit from brushing as much as long-haired dogs. As a rule, dogs hate having their nails trimmed. The process can even be painful if their nails are cut too short. Nevertheless, most dogs should have their nails trimmed when they get too long. If you feel uncomfortable trimming your dog’s nails, consider leaving it for the vet or dog groomer. If you must trim your dog’s nails, make sure you don’t cut them too short. For best results, trim your dog’s nails from an early age so they get used to the process. Most dogs only need to be bathed when they are visibly dirty or they start to itch, but bathing a dog regularly certainly doesn’t hurt. When you bathe your dog, make sure to use a soap-free shampoo that was specifically designed for dogs. Your veterinarian can suggest a shampoo that works best for your dog. These are just a few things to keep in mind when grooming your pet. 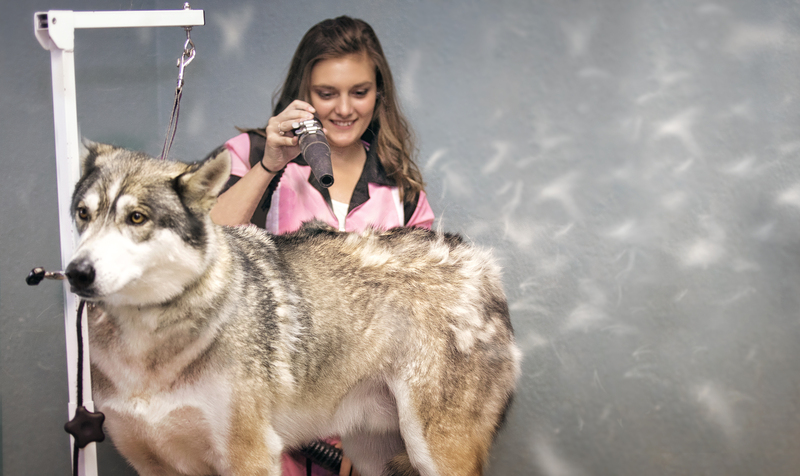 Some tasks such as brushing and even bathing will be easy for most pet owners, but other tasks like nail trimming could be more of a challenge. Do as much as you and your pet are comfortable doing, and don’t hesitate to contact a professional groomer if you feel you need to. Contact Groomingdales today for all of your cat and dog grooming needs.